Though I did eventually choose to stick with Fagles’ on my Nook, my paperback copy of Fitzgerald was beach friendly. Note: I wrote this before the publication of Emily Wilson’s translation of The Odyssey. My thoughts on it are here. Growing up, I heard this phrase more times than I can count. The “ancients” referred to the ancient Greek philosophers, poets, playwrights, etc. I don’t know if this is true in all Greek families, but in mine, ancient wisdom was standard fare. Getting to the implied question in my title (finally): When I first began reading The Odyssey , I shuttled between Robert Fitzgerald’s translation and Robert Fagles’ . I couldn’t decide which I preferred and often found myself rereading chapters to figure it out. As you can imagine … time consuming! The Odyssey was becoming an odyssey. Know what I mean? better a sense of measure in everything. Balance is best in all things. ”I’m hardly a man for reckless, idle anger. You’ll notice their names are spelled differently. But that’s not really the point. 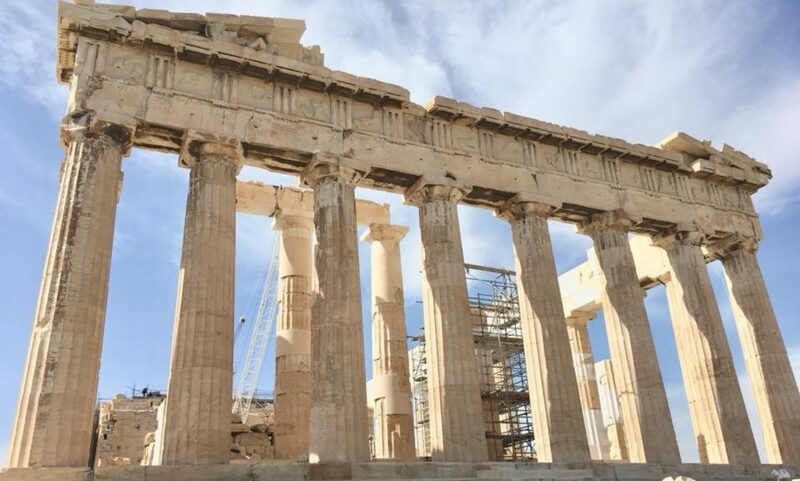 Seeing a sentiment that was familiar to me from the ancient Greek gave me a teeny glimmer of insight into the translation project and its formidable challenges. I’d guess from this translation that Fitzgerald’s is perhaps more literal. Perhaps it’s more faithful to the rhythms and grammar of ancient Greek. I say this because the literal translation of Πάν μέτρον Άριστον is “all measure the best.” But Fagles’ translation feels more dynamic and vibrant. 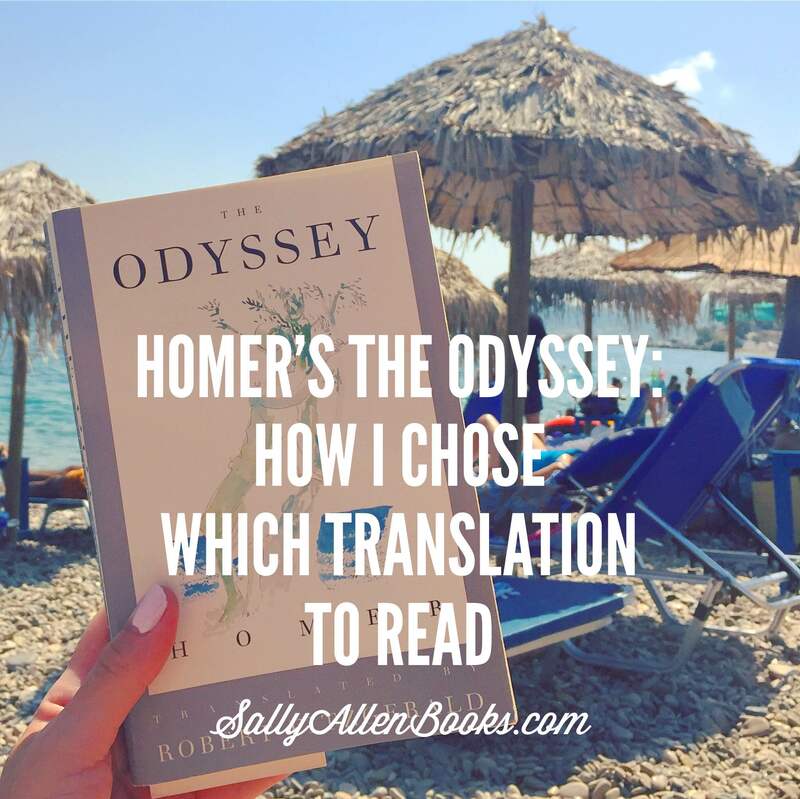 If you’ve read The Odyssey , which translation did you read? What did you find pulled you into the story or made it difficult to engage with it? Yesss!!!! I’ve been hoping you’d dedicate a post to this!!! And I love how you approached it, especially the example you gave that turned the tables for you in favor of Fagles. It’s so interesting; for me, it’s the opposite. In answer to your question, I read large excerpts of “The Odyssey” in high school (but do hope one day to feel inspired to read the entire work), and was enthralled by the language in Fitzgerald’s translation, which was the one our textbook had chosen. At any rate, thank you for this awesome and interesting and insightful post. When I read book reviews where translation is mentioned, it often seems a bit stuffy. But this review is just lovely – the perfect balance of knowledge and personal feelings – the best way, imho, to approach just about any reading experience. Also, bravo for finding balance and deciding to just go with the translation you like best. I think it does do more honor to the source material, rather than being caught up in the language alone. Interestingly, I just read a paper by a classicist who doesn’t like either of these translations, for different reasons, most of them having to do with poetic technique in the original. He’d agree with you that making the text more readable (as Fagles does) takes it further from Homer’s Greek. I love what you say about Fitzgerald: It does feel more distant! For example, in the small section I quoted, “Alkinoos’ answer was a declaration” removes Alkinoos as a subject; our focus is on his answer not on him per se. Whereas Fagles’ “‘Oh no, my friend,’ Alcinous stated flatly” brings Alcinous into the text as a subject/agent, admittedly in what may be a more modern way. Thank you again for giving me so much to think about! Next PostNext The Reading Life: Lifestyle or cultural pursuit?